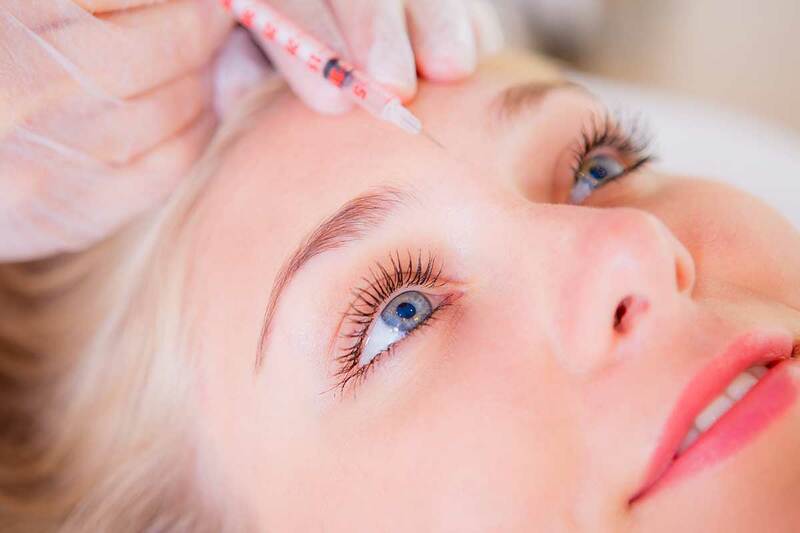 Anti-Wrinkle Injections are one of the best-known treatments to reduce or remove facial lines, wrinkles and Crows-feet. The injections work by blocking the transmission of nerve impulses to the facial muscles that have been injected. This makes the muscles less active and therefore softens the appearance of persistent lines and wrinkles, including Marionette lines, Crows feet (around the eyes), horizontal forehead lines, Glabella (area between the eyes), Upper vertical lip lines and Gummy smile bilaterally. Anti-wrinkle injections are virtually painless and require one single visit for a treatment that will last up to 4 months. Dermal Fillers are a great way to restore the youthful look to your face by removing deep lines and wrinkles. Dermal fillers give a natural looking result and use the latest technology to ensure the treatment does not affect your natural facial expressions or reduce your muscle function. The effects wear off slowly over a period of about 12 months. Its non-permanent nature also means it is easy to control exactly how you look. The product we use is also quite safe with millions of treatments performed worldwide. Our products are also designed for use at different layers of the skin, providing excellent long lasting results that can be seen instantly. The procedure is quick and downtime is minimal which allows you to get on with living your life to the full. At The Country Dentist we have a conservative and caring approach to cosmetic facial rejuvenation. Treatments are by appointment only.